I’m glad Tiger Woods didn’t win the Masters this year. It would have been a great sports headline: “Disgraced Tiger Redeems Himself in Golf’s Classic Tourney.” Actually, the golf commentators had already begun that line of thought. They were treating Tiger’s Masters appearance as if a good showing, or even winning, would redeem Tiger’s reputation. So I’m glad Tiger didn’t win this year. Normally I’m a Tiger fan, and I did track the Masters and felt a twinge of disappointment especially on Sunday when Tiger played so poorly. But Tiger is never going to redeem himself on the golf course because his golf game was not the problem. His character was. 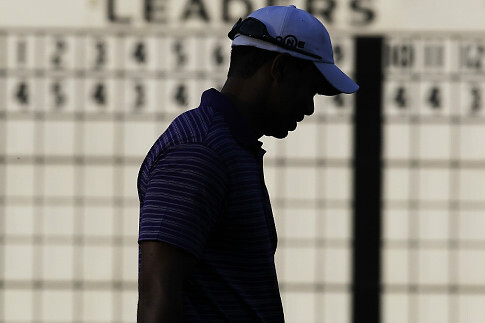 And while we saw a “kinder, gentler” Tiger at the beginning of Masters week, we also saw the frustrated Tiger spew some of his verbal venom when things went wrong again. Tiger has a long way to go. I for one wish him well. I hope his marriage survives and his family is reunited. But if that happens it won’t be because of what happens on the golf course. It will be because of what happens in his heart. After all, redemption doesn’t come at the Masters; it only comes from the Master. What do you think?